There’s no sweeter sound than the alliteration of food or drinks with a day of the week. Margarita Monday. Wine Wednesday. Fajita Friday. Or, perhaps the most popular of all, Taco Tuesday. We’re blessed when it comes to the latter category in South Florida. You can be struck by a hankering almost anywhere, anytime of the day or night, and still find more than one supremely satisfying spot to quell the hunger pangs. Of course, good tacos are bested only by good taco deals. Whether you’re looking for $1 tacos by the beach or a good deal on haute variations filled with brisket or duck confit, there’s guaranteed to be a South Florida eatery where you can find what you’re craving every second day of the workweek. 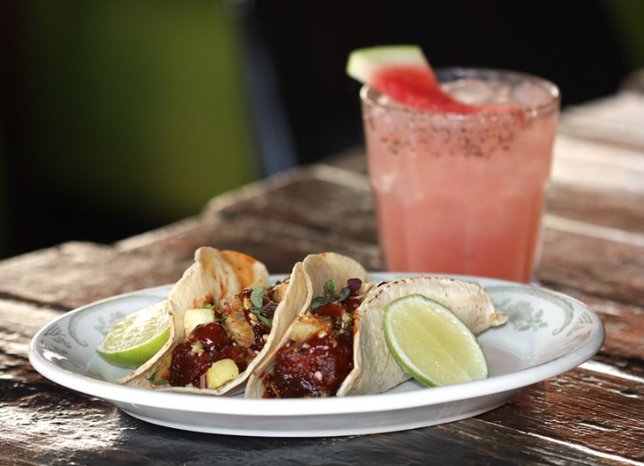 Here are the top picks for the best Taco Tuesday deals in Broward and Pam Beach counties. 1. El Camino. If you’re a die-hard taco fan, you’re no doubt familiar with the ones at Delray Beach’s (and now Fort Lauderdale’s) El Camino. The restaurant offers its Taco Tuesday deal all day (and far into the evening), and it’s one to trump all others. Though most such deals limit the type of taco you can order, El Camino does no such thing. From 11 a.m. to midnight every Tuesday, you can get any of the tacos on the menu, each served on homemade corn tortillas, for just $2 each. That includes favorites such as crispy fish tacos with chipotle crema; agave-chili-lime-glazed pork belly with grilled pineapple and a spiced peanut crunch; chorizo with Oaxaca cheese and salsa verde; carne asada with an ancho chili-sherry gastrique, sweet corn, and queso fresco; and achiote-spiced chicken with cotija cheese. But once the clock strikes midnight, you’re forced to choose: barbacoa, carnitas, or the gringo (ground beef) until close at 2 a.m. 15 NE Second Ave., Delray Beach; 561-865-5350; elcaminodelray.com.